My sister’s secondary school graduation was last night. I couldn’t help but do a little sketch of her dress for her. I rather liked the outfit I’m wearing today, so decided to put it into a sketch for posterity. Note: this is not a self portrait. 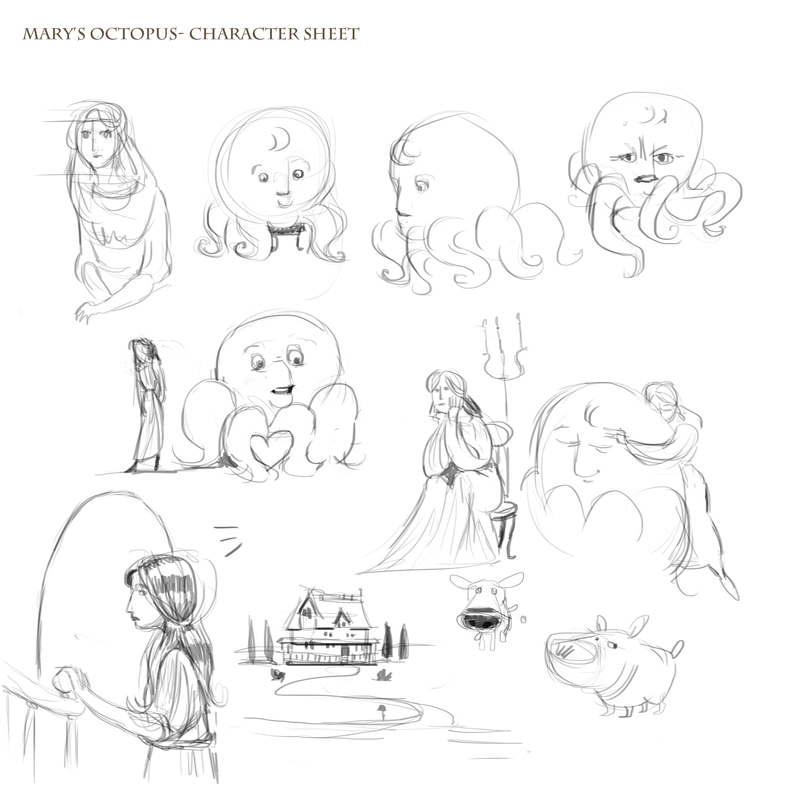 A few little design pieces for Mary’s Octopus- I had quite a lot done, but my computer crashed and like a fool I didn’t save things. Moral of the story, always back things up! 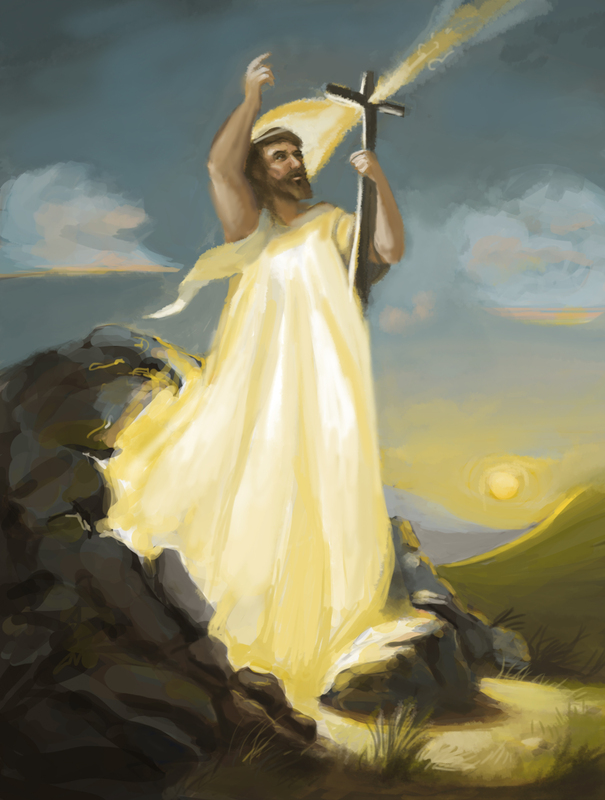 My mother has asked for a Resurrection painting for the last 12 years, so this year I gave in. 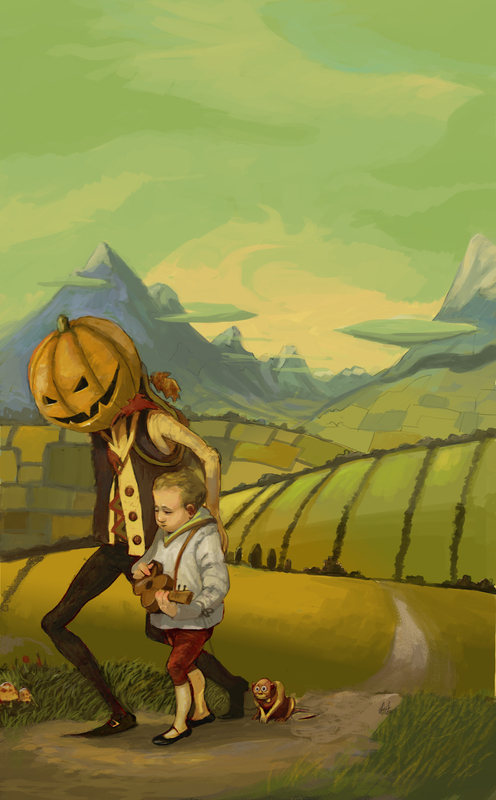 Here’s the result. Happy Easter to you and your kin! Welcome to my new obsession! His name is Edmund Dulac and he reminds me of Arthur Rackham and from the looks of it, they work in similar ways- working up their piece in pencil first, laying in watercolour and then lines with india ink. I might try this myself. Where’s my india ink? 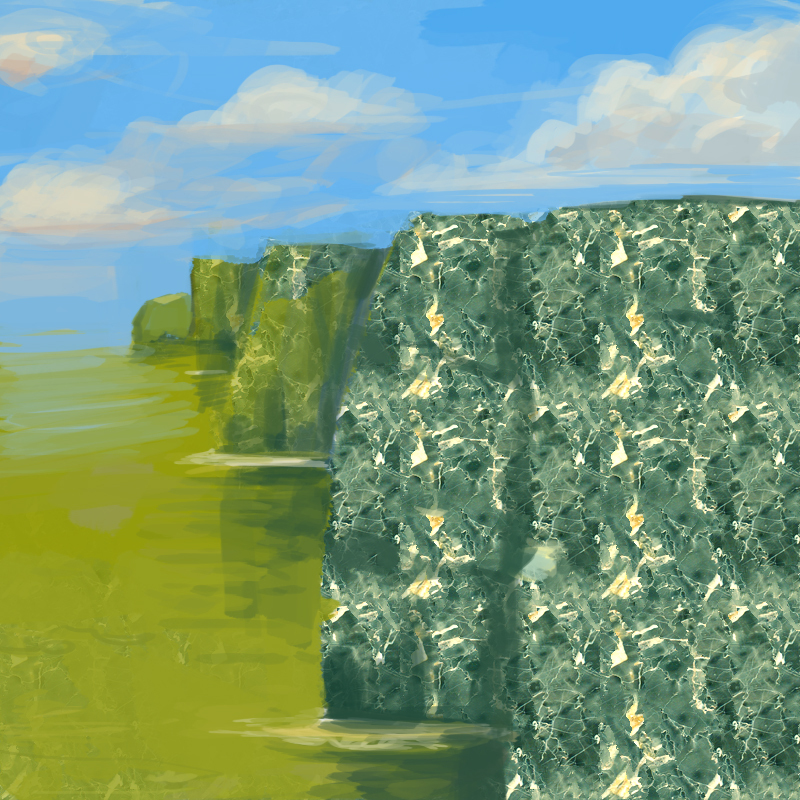 Playing around with textures and shapes. Environmental design is a lot of fun.